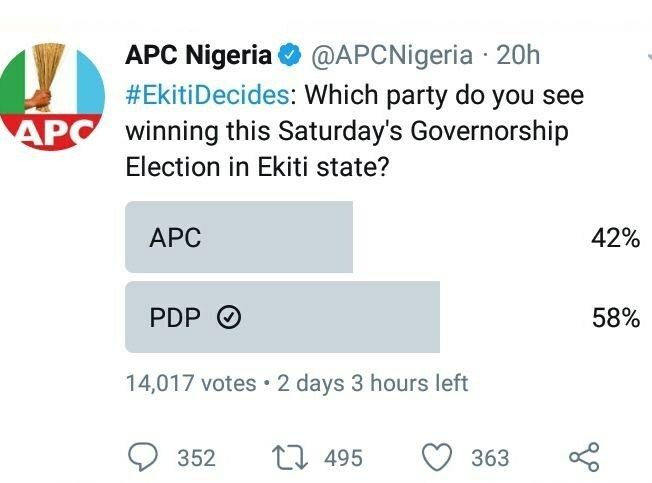 The ruling party has dramatically lost a poll it conducted on its official Twitter page asking Nigerians who they think would win the Ekiti election. The All Progressives Congress dealt itself an embarrassing blow on Twitter after it lost out in its own poll. The party through its official Twitter handle had wanted to get the views of Nigerians by setting up a poll. It asked Nigerians to vote for the party it thinks will win Saturday’s election. “Which party do you see winning this Saturday’s Governorship Election in Ekiti state?” the party tweeted. Surprisingly, Nigerians picked Peoples Democratic Party as the one to win the election. 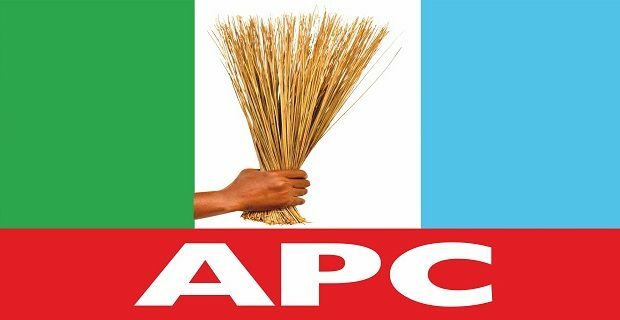 0 Response to "Ekiti Decides 2018: APC Loses Its Own Poll On Twitter(LOL)"